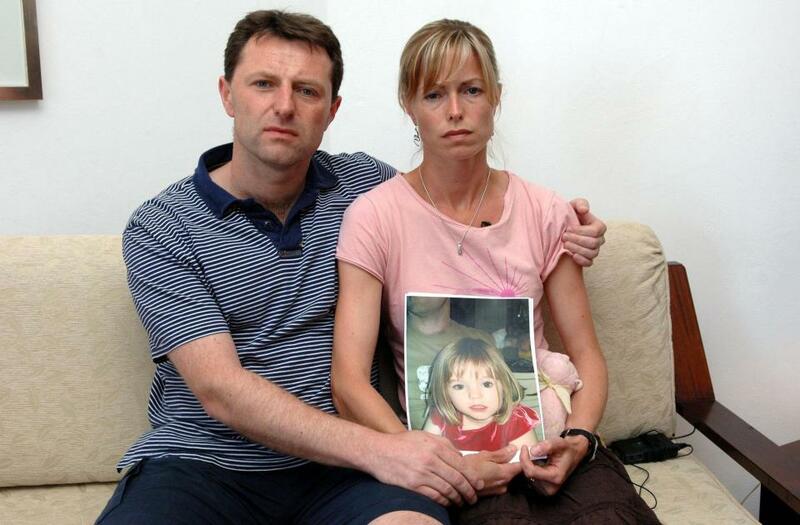 A man has sparked outrage after dressing up as Madeleine McCann for Halloween. 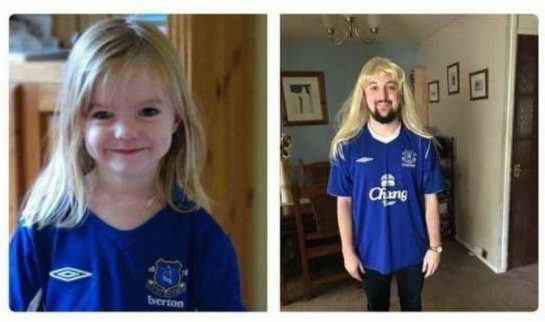 Daniel Gearie posted a picture of himself wearing a blonde wig and an Everton shirt on Twitter yesterday next to a picture of the missing girl in the same outfit. And before you say ‘this is sick’ etc I know it is but I’m not the one who left a child unattended in a Portuguese hotel. Brutal. 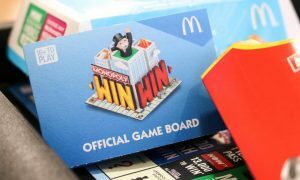 As you all will know, the parents left Madeleine and their two other children sleeping in their apartment while they had dinner at a tapas bar not too far from the room. 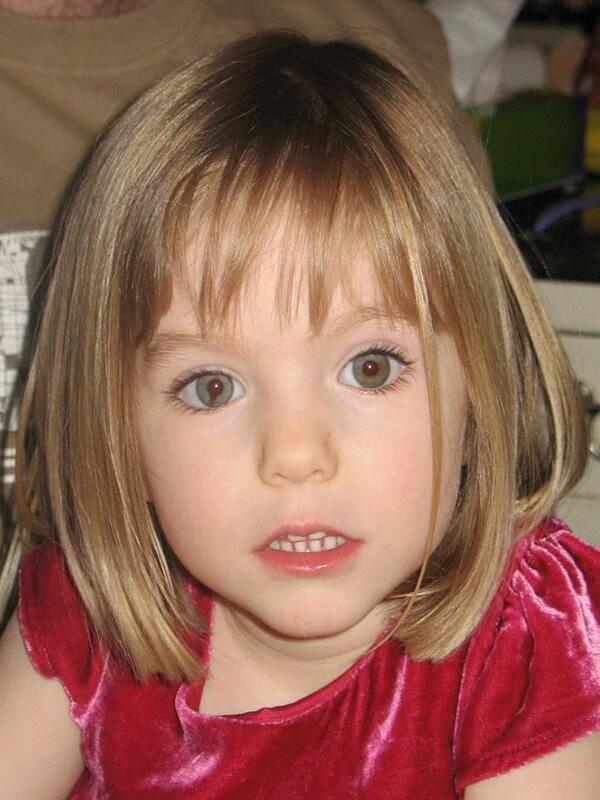 Madeleine was later claimed to be missing by the parents and to this day no one knows what happened to her. 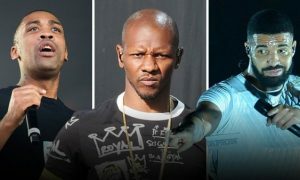 So what to you reckon? 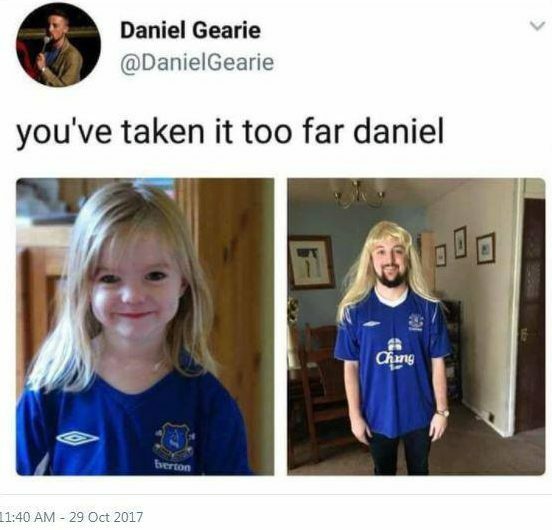 Did this guy take it too far with his Halloween costume? In this day and age he should’ve known that it was not going to go down well – should’ve just stuck with something safe like the pregnant Kylie Jenner costume or something.